The time before time—the Dreamtime. The Australian Aborigine have lived the vast land of the Australs* for some twenty two thousand generations. Before the arrival of the Europeans, some 200 different language groups existed. Though there are now only seventy groups remaining with each calling their land something different, they all tell a similar story of the creation of the world—the story of the Dreamtime. 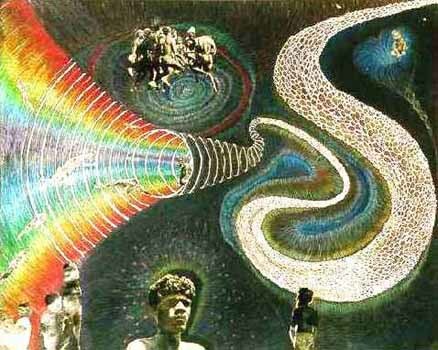 From the Dreamtime, Rainbow Snake and others "Dreamed" the world into being. Areas in their world are named for the Dreaming of that part of creation that took place there. The word "Dreaming" symbolizes another aspect in that it represents the individual tribal beliefs and spiritual understanding. For example, one tribe might refer to themselves as having Kangaroo Dreaming while another calls itself Honey Ant Dreaming. All that comes into the world such as a painting, or other object, or idea, is still dreamed and is claimed by the person or group that has produced it. To them everything comes from the Dreamtime. Individual lives come from those of the Dreamtime as well and return to it when the body dies. In all people is an eternal part born through the mother in time from the originals of the Dreamtime. The visions of the early Aborigine and to some extent today do not differentiate between men or their surroundings. They experience an undifferentiated state of mind that makes separation much less common among them than with modern man. There was no separation between their daily living, eating, working, sexual, and religious lives. All were either dreams or waking visions. And all come from the "all-at-once time" and are born into a "life in time." In a way the Aborigine lives in a dream within a dream. Through the waking dream (awake state) and the sleeping dream and various altered states, the Aborigine interacts with his reality—indeed with his soul. To him everything is connected. The use of dreams in the Hindu culture is quite complex for a non-Hindu such as I, but I'll keep it simple and do my best to be accurate. To the Hindu, dreams can be either disciplinary, rewarding, and prophetic and all are given by the Supreme Brahman (the universal spirit, or god-head). Some dreams are read as predictions with some seen as punishments or rewards for certain actions. Others can be tied to various ailments. Mostly, dreams for the Hindu are seen as manifestations of evil spirits, though some good dreams are also given by the supreme lawgiver, Lord Varuna. It is believed that if a man leads a moral life and surrenders himself at the feet of the Divine he would be released of all evil dreams, in fact all his dreams would become a good dream reflecting his true nature. These dreams would happen in the early morning as he became receptive to the Divine nature within him. He would then experience these dreams within his waking life (another version of the waking dream, or dream within a dream concept?). Most of these dreams are consistent with the person's Karma —a spiritually originated law comprising a person's total past and present actions e.g. what you have not dealt with in the past will come around again and again until you deal with. It is not fate, for man has free will and the ability to change the total of his actions. At one time the pramana ( source of accurate and valid knowledge) on dream interpretation was the Charaka-samhita that seems to have gathered interpretations from consensus and included an interpretation style from the Valmiki Ramayana—a book on morals, generosity, and virtue somewhat like Aesop's Fables. This is not used in the modern era that tends to base its interpretive style on the disciplinary and rewarding. Dreams today would be looked at in terms of what was debilitating, or obstructing, and what was being released as in an end to the debilitating event or action. In modern India, dream interpretation is part of astrology. Swapna satra (the science of dream) includes samhita and sakuna that deal with the meaning of dreams with sakuna dealing with instant recognition of natural common sense happenings that could be understood by even the common man. The dreams of individuals are of great importance to modern interpretation and the images envisioned are then related to gods and demons. Any Hindu astrologer will read a person's dream interpretation. Generally speaking, prior to Aristotle dreams were thought of as messages from the spirit world, or God. It was Aristotle who suggested that they might be from the personal psyche. From ancient Egypt to Greece, Rome, China, and the European middle ages dreams have been an important means for communicating with the dead, predicting the future and diagnosing illness. To many cultures the dream was an extension of reality, though often more powerful. Somewhere around the 8th century BCE the Greeks and Romans began to consider dreams seriously (note Homer's Iliad where Agamemnon takes instructions from Zeus in a dream). They built special places called Asklepieions where dreams could be percolated so as to aid in healing. The Tunnel of Healing which ran from the Sacred Spring, under the Temple of Asclepius to the Temple of Telesphorus. 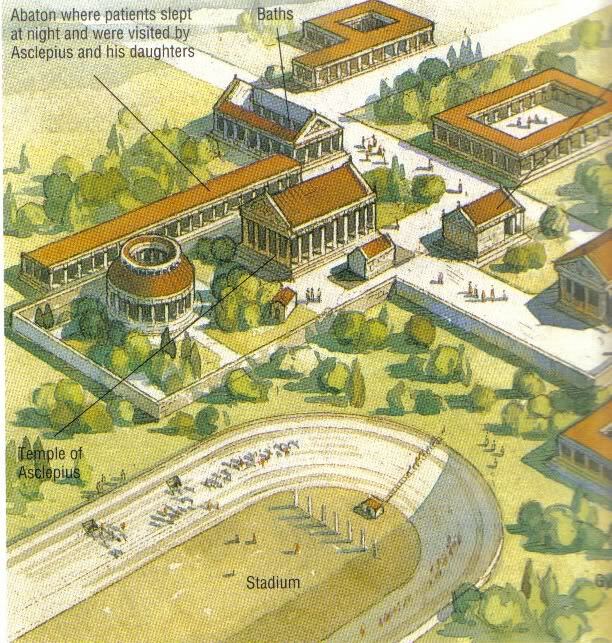 Most Greek dream temples were set in the country where they were surrounded by natural beauty where the people seeking a dream could forget the cares of their everyday life. To be ready for dream incubation one needed to purify them selves. Certain foods thought to inhibit dreams were avoided, such as alcohol and broad beans. Offerings to the deities were also important and depended on the wealth of the supplicant and would range from small, flat cakes dipped in honey to sacrificial animals.  For your own personal dream interpretation jump to the Aesklepeion Page on this site. Share your dream and I will get back to you with an interpretation. The ancient Egyptian word for Dreams was "rswt" meaning "To be awake". The priests were considered the Masters of the Secret Things and considered dreams to be a time when our eyes are opened. It was said that the priest would travel consciously through their dreams, sometimes shape shifting in the form of animals. Dreams were a form of a mini death in a philosophy where death was a journey whose final goal was the recovery of ones true nature. 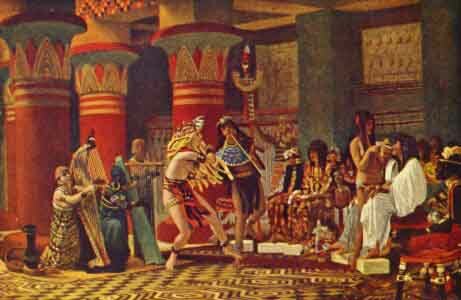 The ancient Egyptians were often considered the fathers of the dream incubation technique. When an Egyptian had trouble he would sleep in a temple where he would dream, sometimes to the sleep enhancing fragrance of lilac oils. Upon waking the priest, or The Master of the Secret Things, would interpret that night's dreams. Many dreams were considered messages from the gods and visited upon the dreamer for the good of all versus just the individual visited and could only be interpreted by a priest. Dream interpretation in ancient Egypt was at least as important as incubation. 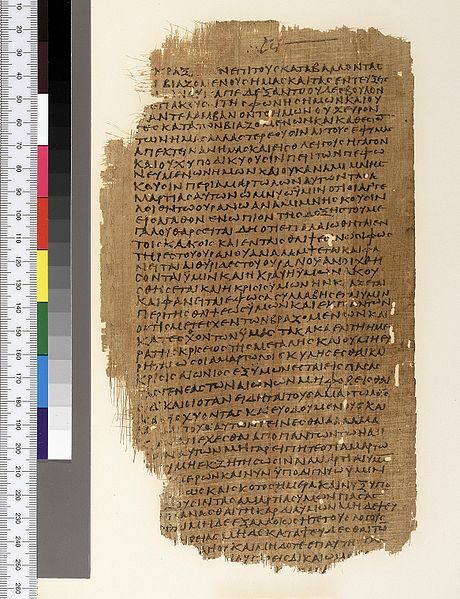 One of the first dream interpretation books, Instructions for Merikare (2070 and 2100 BCE) suggested that the true interpretation of a dream laid in the exact opposite of the symbols. In this way a dream depicting happiness was really a portent of future disaster. Notwithstanding the prediction quality of these interpretations, the idea of a symbol representing the opposite is still a viable tool in modern interpretation e.g. to see people happy in a dream could mean that you are not happy and are seeking it your self. In the 5th century BCE something significant occurred in Greece when the philosopher Heraclitus suggested that a person's dream world was something created within his or her own mind. This was antithetical to the other philosophers of the day who thought that dreams were the result of outside forces, such as the gods. The argument raged, "messages from the gods, or messages from within ourselves?" Aristotle brought the feud to an end by studying dreams in a rational way. He concluded in his book, De divinatione per somnum, "the most skillful interpreter of dreams is he who has the faculty of absorbing resemblances. I mean that dream presentations are analogous to the forms reflected in water." In ancient times, serpents were revered as symbols of renewal in that they shed their skins each year, beginning anew. 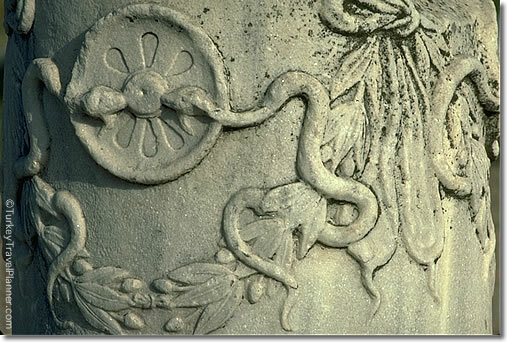 On the above marble pillar at Bergama (Pergamum 2nd c. BCE) we see three symbols for health—snakes, olive branches, and the wheel of life. According to myth, Asclepius, son of Apollo, was taught medicine by the centaur Chiron. He also learned how to bring the dead back to life using a Gorgon's blood. Asclepius' symbol was two serpents entwined around a staff—the caduceus, or kerykeion is still the symbol of medicine today. Originally, only Zeus was thought to send divine dreams. Later, other gods were recognized to also send dreams such as Athena, Apollo, Hera, Artemis, Asklepios, Hermes, and Pan (who was known as the 'conductor of dreams'). There were two gods who specifically ruled in this area - Hypnos who ruled sleep and his son, Morpheus, who ruled dreams. The 'father' of modern medicine - Hippocrates - used his patients' dreams as diagnostic tools. He believed that while some dreams could be divinely inspired, most were symbolic of things going on inside the body. In interpreting these dreams he, along with many other Greek interpreters, used a standardized method of interpretation. The Chinese believed that the dream world was an actual dimension and thought that a person's spirit and soul leave the body every night to visit other places—another world. They also believed that if they were suddenly awakened their soul might fail to return. Some say that to this day some Chinese won't use an alarm clock for that reason. Zhou Gong from the Zhou dynasty of China (1046-256 BCE) wrote the book on Chinese dream meaning, “The Book of Auspicious and Inauspicious Dreams”. His interpretations continue to have some import to the Chinese people though these interpretations are often thought of as folk interpretations weighing in heavily on fortune telling. "Once Chuang-tzu dreamed that he was a butterfly. He fluttered about happily, quite pleased with the state that he was in, and knew nothing about Chuang-tzu. Presently he awoke and found that he was very much Chuang-tzu again. Now, did tzu dream that he was a butterfly or was the butterfly now dreaming that he was tzu?" This raises the question of reality monitoring in dreams, a topic of intense interest in modern cognitive neuroscience. Oneirocriticon (above) by the Roman Artemidorus (c. AD 150) presented the idea that dreams are unique to the dreamer and that the dreamers profession, health and social statusaffected the symbols in the dreams. 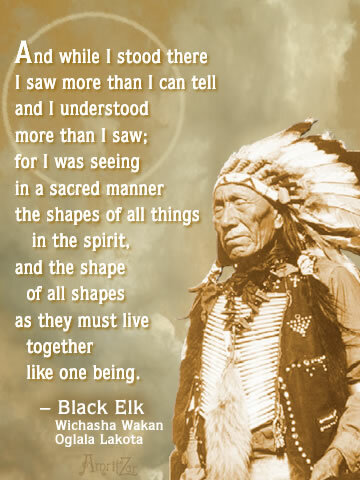 When looking at the Native American inner relationship there is no single belief system, though once again dreams become a common factor across all tribes in that they were seen as a form of information or reality itself. Through dreams the tribes would gain information about hunting and solutions to social and psychological problems. Many tribes also read their dreams for prescient content and as individuals they read them as initiation visions that would lead one to a spirit guide that would travel with them for their entire adult life. Through lonely vigils, fasting, and prayer a young person would alter their state of consciousness to create a vision in their dreams of their destiny. This destiny was purely individual, a sacred thing between a person and the Spirit that pervades all life. This was unlike the European who could only become what his family, station, or town decreed. As with the Aborigine, the Native American was heavily involved in his inner self and it was there that he found his calling, his direction. Whether or not the dreams had any magical influence on the lives of the Native Americans is irrelevant for these peoples so deeply believed them that the stabilities of their psyches became so solid that they experienced great internal individual and tribal strength. For the Native Americans their dreams served a self-regulatory function. For these peoples dreams had certain marked features. There were initiatory dreams, hunting dreams, illness healing dreams, attracting a lover dreams, finding and mixing a herbal medicine dream, diagnose evil dreams, and a revelation from someone dead dreams. Such things such as the discovery and use of fire were said to have come through a dream. For some very remote family groups that were too far apart from each other to establish social grouping at a tribal level, the people depended heavily on their internal resources and their dreams were their primary guide in everything from the weather to the hunt. When the European came in, and with their tendency toward dependence on things external themselves for their survival, they then forcefully changed the native belief systems, stripping them of the use of the internal such as dreams and visions. The native peoples lost their psychological balancing mechanism. The invaders offered nothing to replace the loss. Modern men have trouble understanding the influences of their unconscious especially in reading their dreams, whereas the Native American, even to some degree today, has the ability to better understand the guidance from their internal selves. "But if the vision was true and mighty, as I know, it is true and mighty yet; for such things are of the spirit, and it is in the darkness of their eyes that men get lost." However, dreams were also, during the Talmudic period, interpreted psychologically as information from the dreamer's soul, his innermost thoughts and feelings. Some, of course, thought them to be just vanities (see Ecclesiastes v.). Many of the religious dream traditions of the Old Testament and Talmud have been recorded from the Chaldeans, the magicians of the ancient world, and from the early Babylonians. 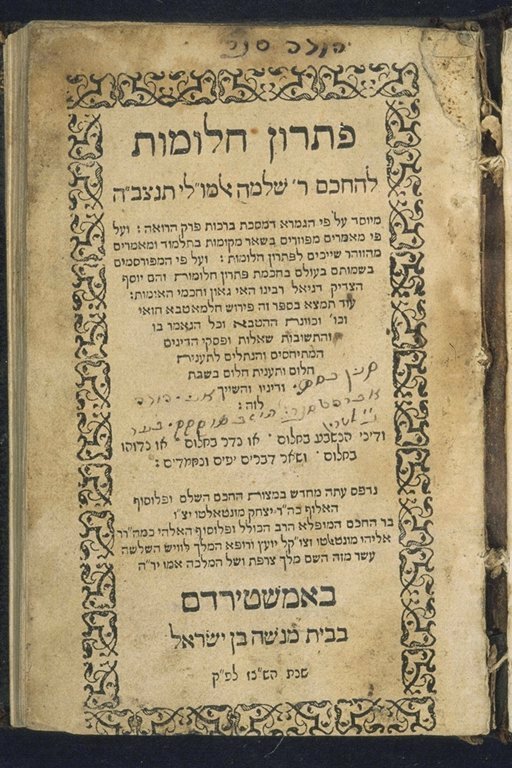 Soloman Almoli Published one of the first popular works on dreams, Pitron Halomot, in 1515 (it was reprinted again in 1585 as well as in other Jewish dialects throughout the time). Basically, it was a dissertation on the role and tradition of dreams in the Jewish tradition as well as a handbook for the interpretation of dreams. In the Middle Ages of Christian Europe dreams were seen as evil and the images "as temptations of the devil that filled the minds of men with foul and poisonous thoughts" (no wonder the church discouraged the incubation of dreams). To be fair there were other noted Christians such as St. Jerome and St. Augustine who praised the usefulness of dreams as being a communication with God. The Bible is rife with dreams given by God e.g. Jacob's Ladder. It was also St. John Chrysostom who said that 'we are not responsible for our dreams, and should not be ashamed of what we dream or any images that appear therein. Many modern churches encourage meditation and dream analysis as part of one's spritual quest. In the 1890's Sigmund Freud elevated the use of dreams to the research level of science and championed their use as a means of understanding the individual psyche. To him, "Dreams are the royal road to the unconscious." His seminal work was written in 1899 in German, Die Traumdeutung (later translated into English in 1913 by Macmillan Press) introduced his theory of the unconscious as it is related to dreams. Interestingly enough he saw all dreams as an attempt to resolve inner conflicts, thus all were seen as some form of wish fulfillment. Perhaps his greatest contribution to psychological knowledge was that he showed that dreams were the means for consciously connecting with the unconscious mind. This led him to understand better the origins of nueroses and strategies for dealing with them. Freud was able to show a very real connection between the unconscious mind and the actions people take in the external world. Carl Jung was a student of Sigmund Freud's who later disagreed with many of his teacher's theories. Freud thought that dreams represented those wishes that we could not accept on a conscious level e.g. signs of psychic illness, or sexual trauma. Jung believed that dreams were messages to oneself that helped deal with past and present dilemmas, resolve inner conflicts, and to solve the most basic mysteries of one's life. Since then many therapists have refined the use of dreams and redefined many of the works as "soul work." Erich Fromm was an analyst from New York who back in the 1940's and 50's talked about his ideas regarding the purpose of dreams. In his books e.g. 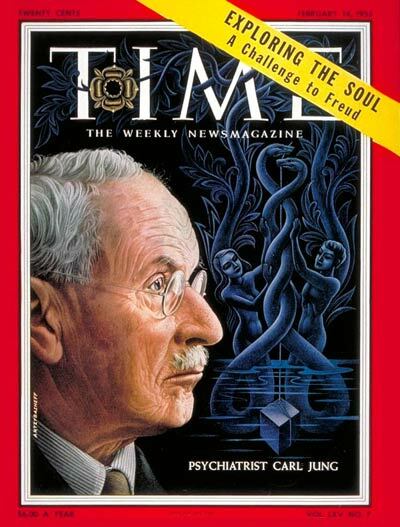 The Forgotten Language, Escape from Freedom, Man For Himself and The Art of Living he outlined a concept of dreams between the biological drives and urges postulated by Freud and the wisdom and spirituality that characterized Jung's work. 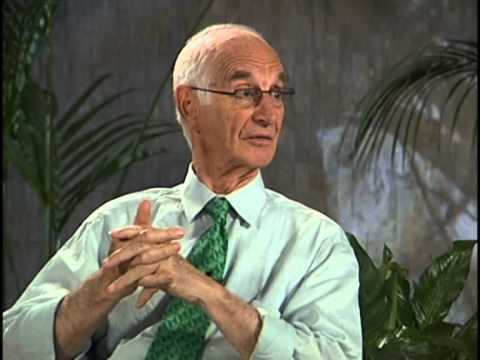 Healers such as James Hillman, an Archetypal Psychologist used myth and fantasy in understanding the development of our individual and collective psychologies. Hilman's approach was more focused on the psyche, the soul of man, whereas Jung's focus was on the constituents of the Self such as the ego (Re-Visioning Psychology, 1975). Modern research into the world of dreams took place in 1953 when the work of Nathaniel Klietman discovered in his sleep laboratory that infants for short periods of time during sleep evidenced rapid eye movement (REM) under the eyelids. This was also found to be true for adults and that the eye movement corresponded to dreaming. When adults were awakened during this period their dreams were almost always much clearer and intense and that their EEG brain activity readings also corresponded to these periods. This research lead to the discovery of four distinct stages of sleep. In Hillman's book, The Soul's Code: In Search of Character and Calling (1997), he outlines "what he calls the 'acorn theory' of the soul. This theory states that each individual holds the potential for their unique possibilities inside themselves already, much as an acorn holds the pattern for an oak tree." (excerpted from http://en.wikipedia.org/wiki/James_Hillman). Thomas Moore popularized Hillman's philosophy through such books as Care of the Soul (Harper Collins, 1992) and making his work accessible to the general reader. Stephen Aizenstat (from the Pacific Graduate Institute in Santa Barabara, California) has advanced both Moore's and Hilman's work as well as the "Active Imagining" technique of working with dreams founded by Jung in his dream work technique he calls Dream Tending (Spring-Journal, 2011). In this approach images of the dream are kept in the present and reanimated so that they can continue to inform both the therapist and the dreamer as opposed to older analysis techniques that tended to hold dreams as static images relegated to the past upon which you would do a type of 'dream forensics' (my term). In the The Dragon's Treasure (iUniverse, 2010) I discuss a number of different approaches to Dream Work including the technique of the the Waking Dream.